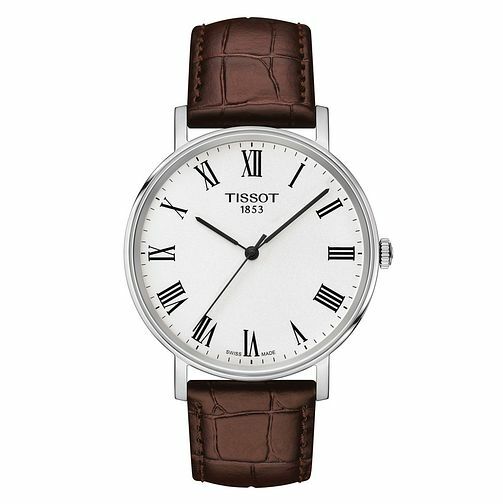 This stunning timepiece by Tissot features a pure white dial, with classic black roman numeral hour markings and 3 sleek black hands. This swiss made watch boasts both style and accuracy, placed upon a classic brown leather strap for a complimentary style staple for day and night. This watch is water resistant up to 30 metres.